For a long time, if Florida was your thing, you’d go to Miami. Fort Lauderdale was never in the picture because it’s long been mixed up with ideas about backwater country and spectacular spring breakers à la the 1960 classic Where the Boys Are. But in recent decades two convergent forces have come to squash old Fort Lauderdale: a police crackdown of rowdy spring breakers, reports the Sun Sentinel, and a gold rush of restaurant openings sweeping South Florida. But now Fort Lauderdale’s catering and restaurant scene has noticeably improved so much that in 2010 the New York Times took notice and urged travelers to try out the coastal city that “continues to mature beyond its spring break days, with posh resorts now rising along the beach.” Since then publications like Eater have been celebrating the rising culinary landscape of Fort Lauderdale’s catering and restaurant scene. As you make it through the city of Fort Lauderdale, you’ll be welcomed by a range of cuisines. Below are our top spots for Fort Lauderdale catering. Food bars are all the rage these days because as a gesture—serve yourself until giddy—they’re as showy as they are substantial. None can match the generosity of The Brass Tap, which does Fort Lauderdale catering right with classic pub food. The signature street taco and slider bars mean more tacos or burgers than you know what to do with. The luxurious mac and cheese bar will hold your attention with layers of velvety cheese flavor. The folks at The Brass Tap urge you to lean a spoonful of citrus-tangy mojo pork, marinated steak, or blackened shrimp, naturally sweet shrimp enhanced by spices, next to the mac. That spoonful of extra-something works to transform the straightforward textures of mac and cheese into a lively experience. The customizable food bars serve small and large groups. There’s nothing monochromatic about a taco from Tijuana Flats, a Fort Lauderdale catering operation. Its classic Tex-Mex tacos are as party-confetti bright as they are texturally ambitious. Fillers like the toothsome steak and chipotle-braised chicken are stuffed into hard taco shells that shatter apart when you bite, just as you ride out the melody of other textures and temperatures. The most requested catering package is called Taco Hot Affair: try it. 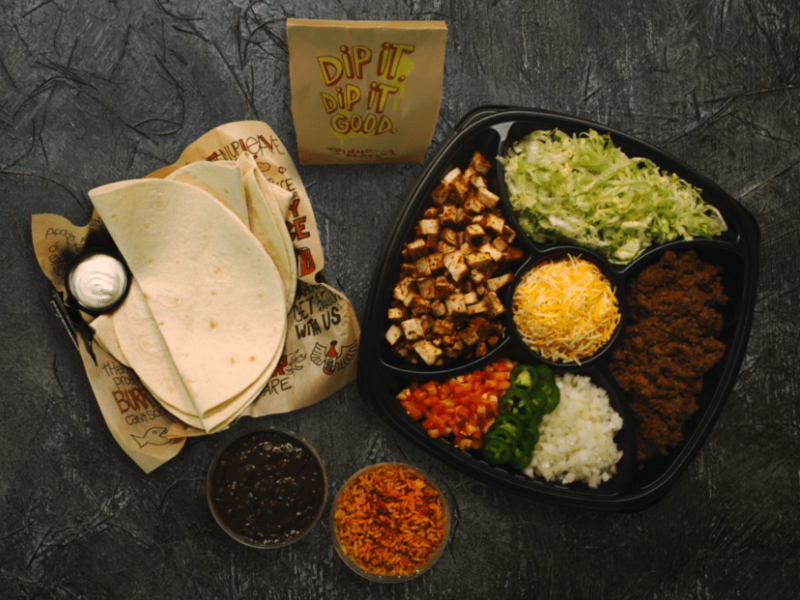 Tijuana Flats serves everything you need to build your own tacos—plus extra goodies: chips, handmade salsa, guacamole, queso, and your choice of hot sauce. The taco is one of the most overexposed but magnetic seducers of the time. If you want lunch to appeal to a crowd of hungry mutts at the office, order the group a build-your-own taco bar from Let’s Taco Mexican Cuisine, one of the finest choices in Fort Lauderdale’s restaurant scene. The tacos will feel momentous and people will happily graze on bites of warm-spiced meats folded between U-shaped hard taco shells or pliant tortillas. It’s of our opinion that lunches and dinners spent in the homes of family and friends are the best meals. 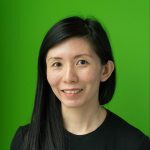 Therefore, it’s no surprise that we feel like such latchkey kids when we’re presented with a sad dry sandwich at the office. 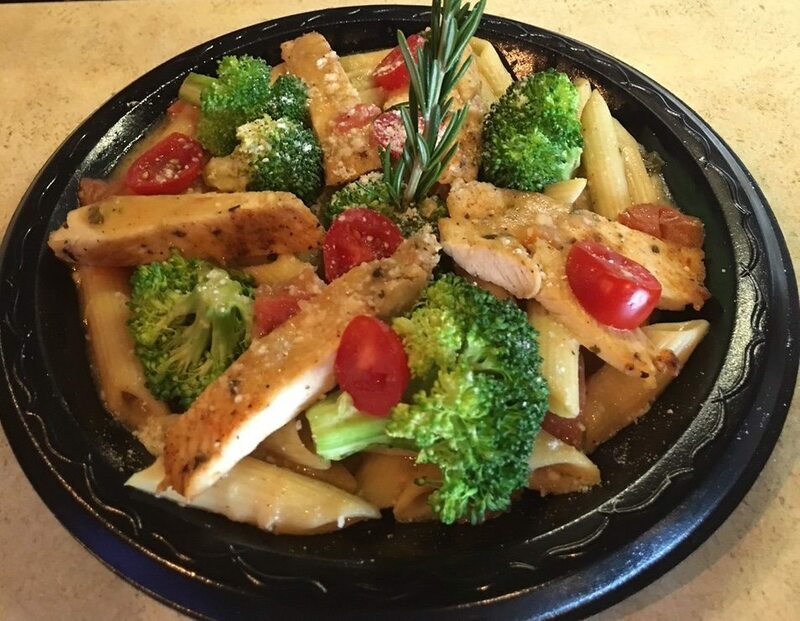 If there’s no way to convince ma or nana to cater your workday meals, call up Executive One Catering, well known in the Fort Lauderdale catering scene. The Italian classico catering package will conjure up those long-ago family dinners: chicken with mushrooms soaking in bright white-wine sauce, homemade meatballs and penne alla vodka with creamy tomato sauce, and garlic breadsticks. The catering company even kisses you with mini desserts—cookies, mini cannolis, and parfait shots. No, no—no need to forage Kit Kat bars from the passive-aggressive vending machine on the fifth floor when you’ve got sweet catering from FattyCakesNY. 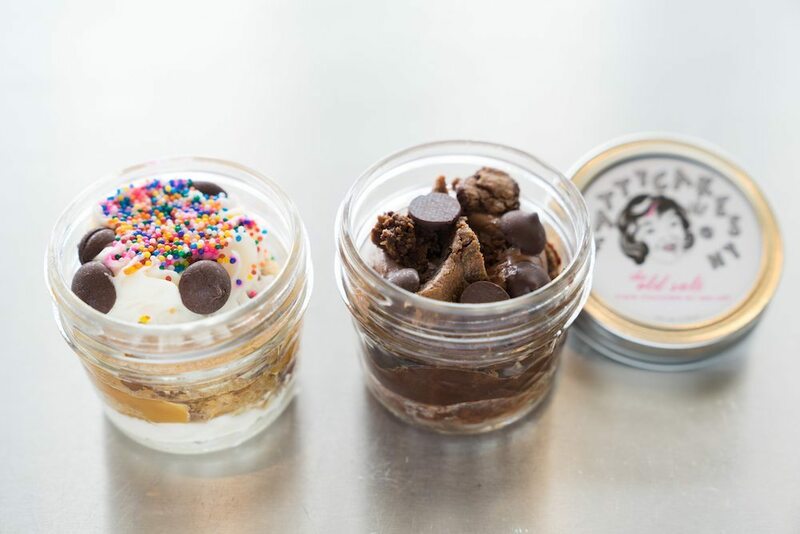 The catering company’s delightful cookie concoctions, shaped into clouds of cakes or tiered with dollops of cream in beautiful glass jars, will blow the minds of the most insatiable sweet tooths. Looking for a Fort Lauderdale catering option that flirts with sweets? Start with FattyCakesNY. That food nerds are still hung up about perfectly constructing sandwiches—getting the meat and bread ratios right, balancing savory with tart and freshness—says a lot about our favorite lunchtime food. Bread is the starting point, but you can load those slices with deep flavors and accent cuts of meat with flavorful mayonnaises and dressings. The folks at Tower Deli & Catering, a reliable Fort Lauderdale catering option, have put together an outstanding list for any special or un-special occasion: 50 beautiful sandwiches. You’ll just have to stop and admire them for a moment before you take the time to eat them all. Looking for delicious Fort Lauderdale catering? It would be immoral not to bring grilled kebabs back to a hungry office. Skewers of chicken and filet mignon brushed with oil and then seasoned, grilled until charred, and served with sweet onions and peppers and hunks of tomatoes. The office will gobble up the platters in no time. Use the leftover bamboo sticks to point at your next PowerPoint presentation. Sometimes you don’t want to get a gentle schooling from a carb crash. Sometimes you want to pay tribute to your body and have a wonderful feeling after enjoying the fresh vibrancy of food. Tropical Smoothie Cafe, a Fort Lauderdale catering operation, defers to this principle. Try the pulled chicken with roasted pineapple salsa, cashews, and romaine-spinach blend on 9-grain bread or their Caribbean jerk-chicken wrap. The exciting evocation of oven-blistered pizza, crisp at the edges, cheese stretching out, is the project of all pizzerias, not just in Italy but even in Fort Lauderdale’s catering and restaurant scene. There’s a wonderful feeling that only pizza can bring—you can build up tension all day by dreaming about salty, hot, picante, and fresh ingredients on your pizza. If you want pizza catered without a hitch in Fort Lauderdale, go to Big Louie’s Pizzeria. 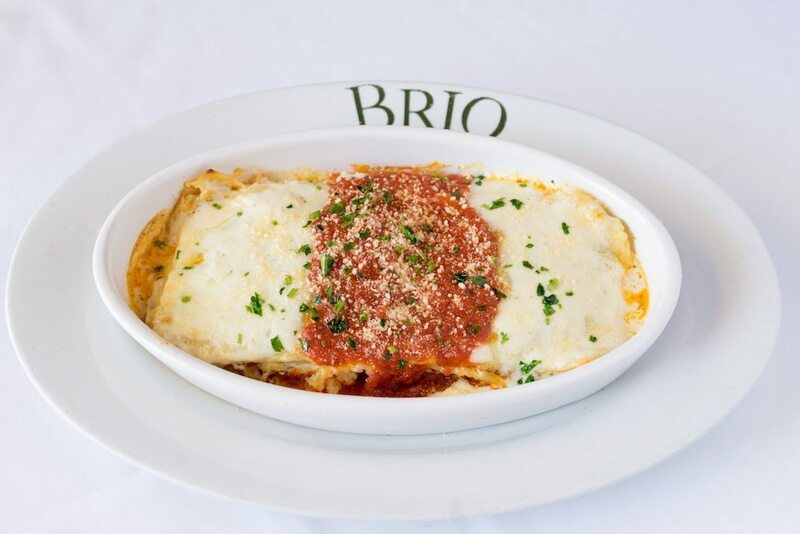 If you want a loving spread of food just like your Italian nana (or imaginary Italian nana) used to make, try Brio Tuscan Grille, which offers a twist on Italian fare. The food is like a little bit of heaven, only you’re still grounded in Fort Lauderdale catering. Their grilled salmon fresca is served with grilled asparagus, sweet potatoes, spinach, red peppers, feta, tomatoes, and balsamic. Simple flavorful food that defers to good ingredients and nana’s techniques, just complicated enough to get your attention. 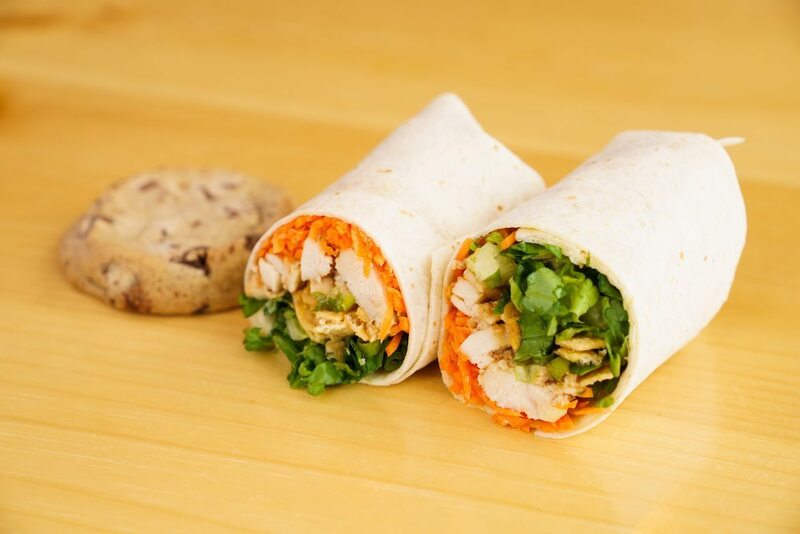 Hungry for Fort Lauderdale catering?